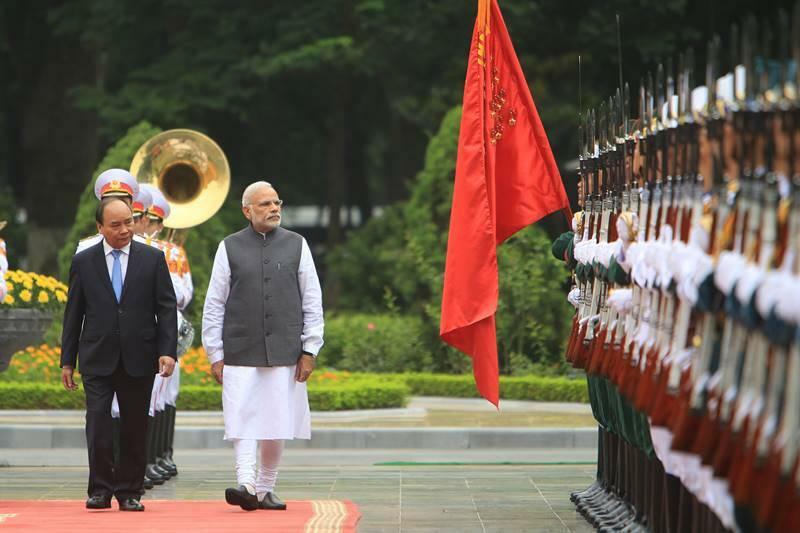 Amid the continuing volatility around South China Sea and China’s growing clout, India and Vietnam have decided to deepen their coordination in the Indo-Pacific region and bolster their defence ties to shape an inclusive regional architecture. 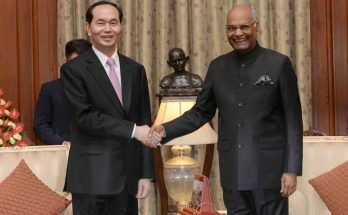 Vietnamese President Tran Dai Quang’s March 2-4 visit to India and his talks with Prime Minister Narendra Modi have expanded the scope of comprehensive strategic partnership between India and Vietnam, and underscored the pivotal role of India-Vietnam relations in the mutating regional landscape. 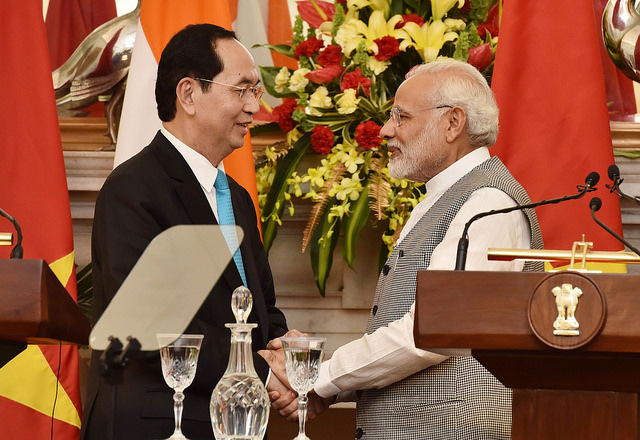 Two visits by Vietnam’s prime minister and president to India within weeks of each other have cemented Hanoi’s role as a pivot in New Delhi’s Act East policy. The Special Commemorative Summit is poised to open a new chapter in the history of India-ASEAN relations. With India and ASEAN emerging as the fastest growing region in the world, there are enormous possibilities for expanding and diversifying this mutually energising relationship across the spectrum. 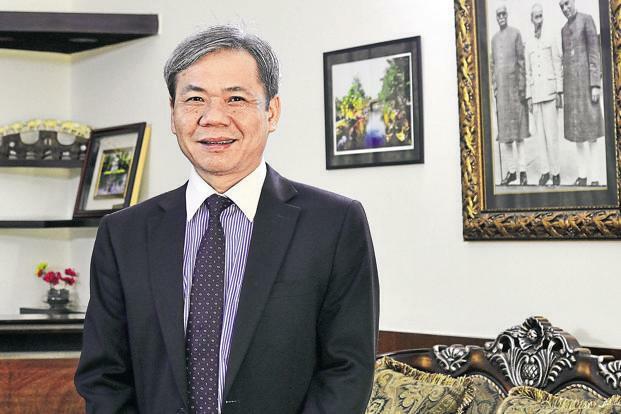 In this interview with Manish Chand, Editor-in-Chief, India and World, Vietnam’s Ambassador to India Ton Sinh Thanh argues that given India’s close historical and cultural connections and its growing economy, India should play a bigger role in the extended Indo-Pacific region. To fructify this huge potential, enhancing connectivity will be a potential game-changer in taking India-ASEAN strategic partnership to new heights. Amid the churn in the South China Sea, the Vietnamese envoy also pitches for a real and abiding enforceable code of conduct and argues that the sea of Southeast Asia is an open sea of all countries, including India. It’s a celebration of burgeoning Hanoi-Delhi cultural bonding, which is set to deepen with the setting up of the first-ever Book Corner of Vietnam, named after the iconic leader Ho Chi Minh in a prestigious library in the Indian capital. 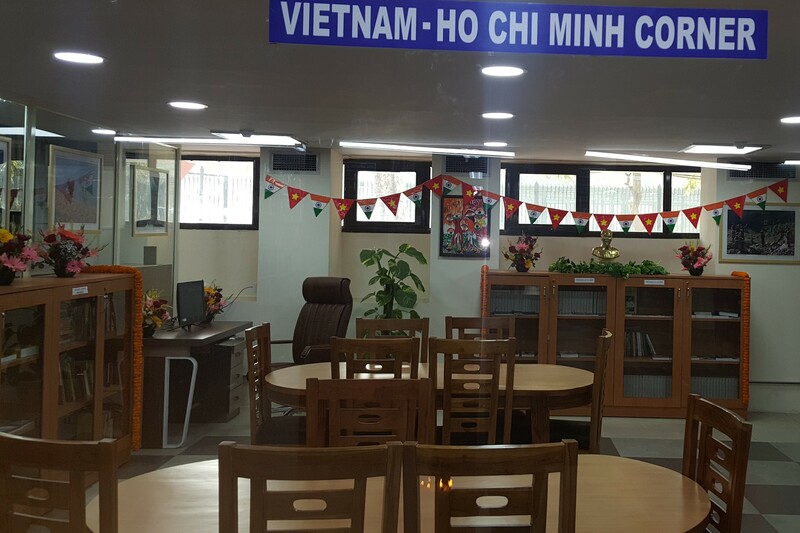 The Vietnam-Ho Chi Minh Corner in the Central Secretariat Library in New Delhi was inaugurated recently by Vietnam’s Ambassador to India Ton Sinh Thanh and Sujata Prasad, Additional Secretary in the Ministry of Culture. The event also saw the launch of a book that celebrates Ho Chi Minh’s unstinting love for India and his legendary friendship with India’s first prime minister, Jawaharlal Nehru. Amid ongoing geopolitical churn in the region, Vietnam has emerged as one of India’s key strategic partners in ASEAN. While diplomatic contacts and economic ties are growing rapidly, the India-Vietnam partnership is rooted in centuries-old cultural and civilizational linkages. Blending Buddhism and cultural linkages with an expanding economic and strategic partnership, the India-Vietnam relations are poised to soar high in months to come. India’s Navy Chief Admiral Sunil Lanba is on a five-day visit to Vietnam to step up defence and security cooperation with the South Asian nation which has emerged as a pivot of India’s Act East policy. Given the fast changing geo-strategic dynamics in the Asia-Pacific region, marked by China’s increased assertiveness in the region, the Navy Chief’s visit is being watched closely in Beijing. 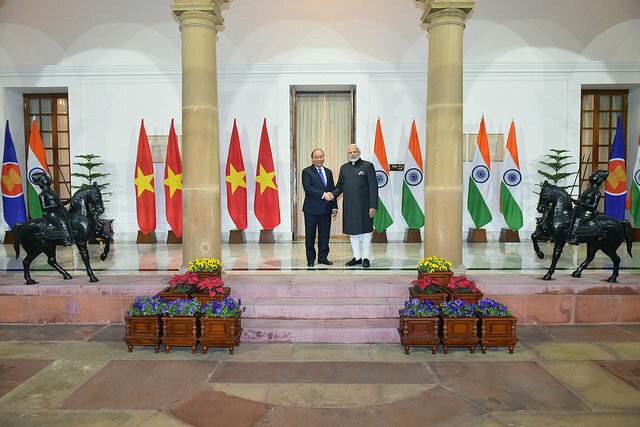 Prime Minister Narendra Modi’s landmark visit to Hanoi in September 2016 was transformational and placed the expanding India-Vietnam ties on a new footing. 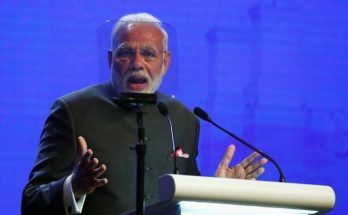 During his visit, the Indian leader pledged $500 million in Lines of Credit for a host of development and defence-related projects in the Southeast Asian nation. 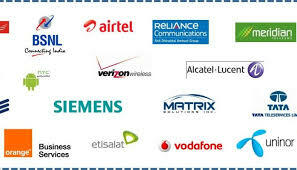 India’s Act East policy is set to get a big boost with a spate of high-profile visits from the ASEAN countries lined up in coming weeks and New Delhi looking at making a vital breakthrough in the huge telecom market of Southeast Asia with a population of 600 million. Vietnam’s Foreign Minister and Vice President are expected to visit India and so is Malaysia’s Prime Minister NajibRazak followed by Malcolm Turnbull, the prime minister of Australia which is a member of the 18-nation East Asia Summit. 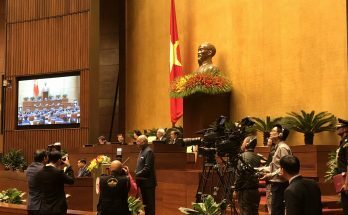 It’s a milestone year in India-Vietnam relations as the two strategic partners celebrate the 45th anniversary of the establishment of diplomatic relations. 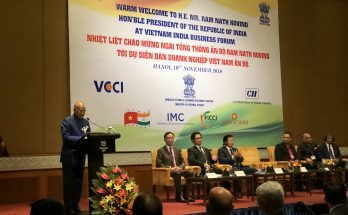 In this wide-ranging interview with Manish Chand, Editor-in-Chief, India Writes Network, Vietnam’s ambassador to India Ton Sinh Thanh outlines a vibrant picture of the trajectory of this crucial relationship and underlines the need for a more active role by India in Southeast Asia and the extended region. The envoy also underscored that the burgeoning India-Vietnam relations is not targeted at China or any third country and stressed on peaceful resolution of the South China Sea dispute through dialogue.